We want to see Sociable Lapwing from many years. Every year we thought about it to see and try many time but did not get success in that task. 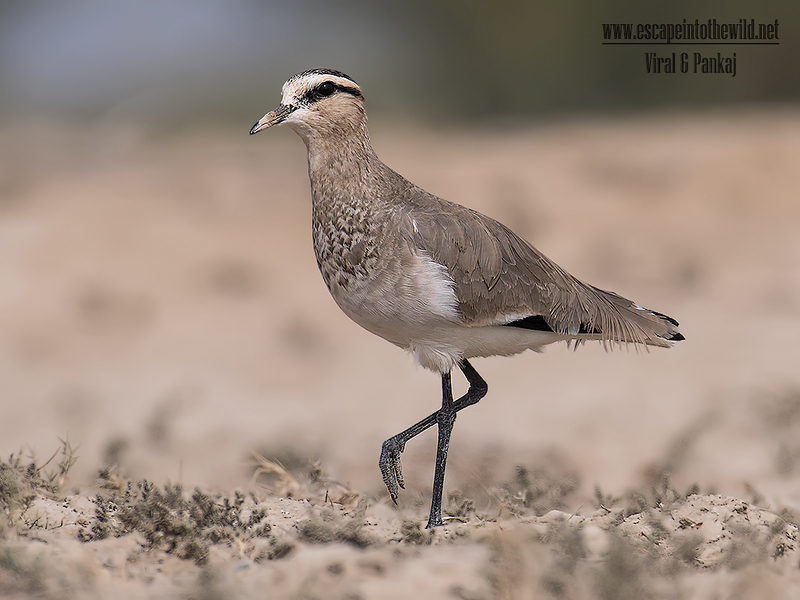 This year when we got the news of Sociable Lapwing seen in Great rann of Kutch (GRK), we plan to visit the GRK . We talked with Nirav Pomal and as par his time we planned our GRK trip. In morning, we saw the Hypocolius and then we move to see the Sociable Lapwing. We saw 8 Sociable Lapwing foraging in open filed. Very carefully we approach the bird as if they disturbed they took flight and difficult to locate them in large area of GRK. When we are taking the photo of Sociable Lapwing few street dog to disturbed us in search of food. We are very much afraid of it when they much the Sociable Lapwing as Sociable Lapwing are IUCN in Critically Endangered species. However, after some time dog was settale down and we took very good shot of this Critically Endangered birds.